Photograph © Graham Horn. Text and formatting by Jacqueline Banerjee. Understandably, Benedict Read sees here Gilbert's "total commitment to the ideals of the New Sculpture" (369). Beattie, Susan. The New Sculpture. New Haven and London: Yale University Press, 1983. 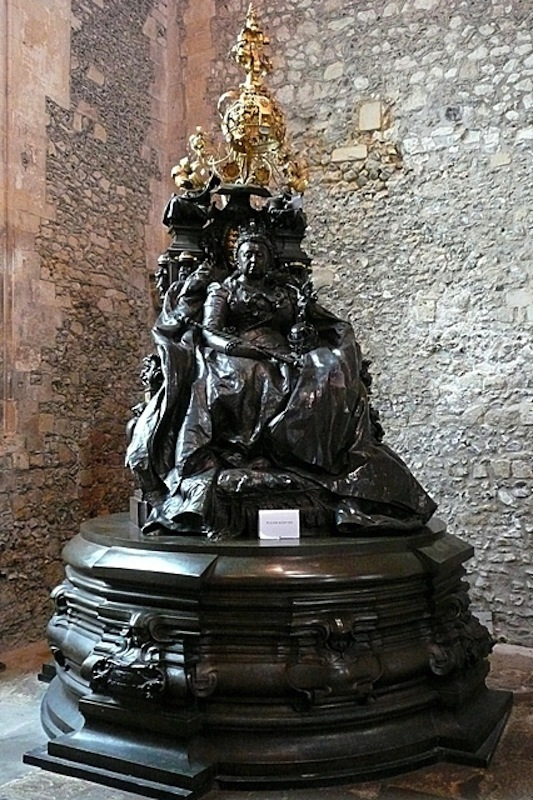 "Winchester Queen Victoria Statue Leaves Great Hall." BBC (gives dimensions and weight). 15 December 2010.